About 40 years ago, Ogoja as a parish, began to function gradually. It started with Ogoja parish at St. Barnabas Okuku in 1976. The initiative came up from the labour and activities of a group of people called the “three brothers” who were then residing in Okuku. The small congregation began services in the living room of one Mr. Godwin Okoli. As the church grew, they later moved to Convent School, Okuku. On 3rd of April, 1977, Rev. J. C. Ejim, of blessed memory, visited and named the church St. Barnabas. He was with the team from All Saints’ Church, Abakaliki that came with their Anglican Youth Fellowship (AYF). Two weeks later a licensed Lay-Reader, Mr. Samuel Nkwoike, of blessed memory, was posted as the Church Teacher. As the congregation continued through his efforts, the Church gave birth to St. Peters Church, Igoli, Ogoja on the 4th of May, 1978 which is now the Archdeaconry Headquarters of Ogoja Archdeaconry. Through the combined efforts of St. Barnabas Church, Okuku and St. Peters Church at Igoli, Ogoja, the gospel was carried down to Ikom. On 4th May, 1980, the Church held her first Sunday school at St. Benedict’s Junior Primary School, Igoli. From there, she embarked on evangelical missions and was able to grow numerically and spiritually. It was pastored and led by individuals who have helped to build and develop the potentials over the years. As at today, Ogoja Archdeaconry has a number of churches enumerated in the historical book of the Diocese now being published. We commend the efforts of a large number of Pastors and Evangelists who did the pioneering job in the area. These include Ven. Ono and others. The spread of the church to the Eastern part of the north (Yahe) was also a pleasant experience. The first point of call was the present St. Mary’s Anglican Church, Yahe which was opened by Diocese of Abakaliki on 9th September, 2000. Early worshippers used a space inside a pig farm owned by one late Mr. Simon Atrogo. There were two pig houses. The Anglican Church brethren used one while the Deeper Life Bible Church use the other. The Church started with Sir Titus Offia’s family and one other family which has relocated to the village. When the same land and pig houses were put up for sale, Mr. Titus Offia bought the land and informed the Diocese (Abakaliki) through the Ogoja Parish. The Diocese of Abakaliki refunded the purchasing amount to Mr. Titus Offia and the church took ownership of the entire land and houses. The Church renovated one of the pig houses which is being used as a parsonage while the second which has also been renovated and being now used as a place of worship. The Church is now a Parish, District and a proposed Yala Missionary Archdeaconry headquarters with eleven or more Churches and preaching stations under it. 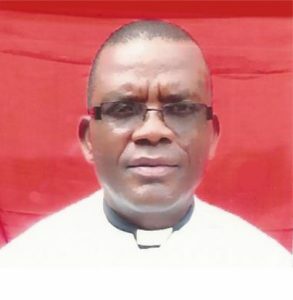 From there, and through the efforts of Mission Workers and different Pastors in the Diocese of Calabar, the Church extended to other areas of the local government such as Wanakade, Ukelle, Ipollo-Ntrigon, Ikoko-Ufuma, Ohabene, Obat-Ogor areas, Yahe area, Yala and so on. Before all these, the Church had spread to Okuku and Obudu areas.